Modified Bitumen roofing involves installing an asphalt-based roll membrane that has a smooth or granulated surface. The modified bitumen rolls are made with polymers added to asphalt to give it a more flexible and rubber-like property. The rolls are made with a fiberglass or polyester mat reinforcement. Fiberglass sheets have dimensional stability. Polyester provides puncture resistance. The rolls can be installed by mopping in asphalt, torching, adhesive or can be self-adhering. Granules are typically white or grey, but a variety of colors are available. The modified bitumen system is typically installed in two plies. First, a smooth surfaced modified base sheet is installed, then a granulated cap sheet. The application method for the sheets can be either the same or a combination of two methods. This two ply method gives added strength and protection. For a roof to leak, the water or damage must get through both plies. While most cap sheets use granules, the cool roof movement has created the need for manufacturers to make highly reflective sheets. Most of these are now using an elastomeric coating after the granules are applied. APP (Atactic Polypropylene): APP membranes are typically torch applied, but can be applied with cold adhesive. They can be recognized by having a clear plastic film on the back of the sheet. Torch applying an APP roll provides convenience on small projects where access or limited space is available. The need for an asphalt kettle or setup space is eliminated. While there is risk of fire, the NRCA has developed the CERTA program. CERTA is an acronym for Certified Roofing Torch Applicator. This means the installer is trained in use and safety of the torch during roofing applications. 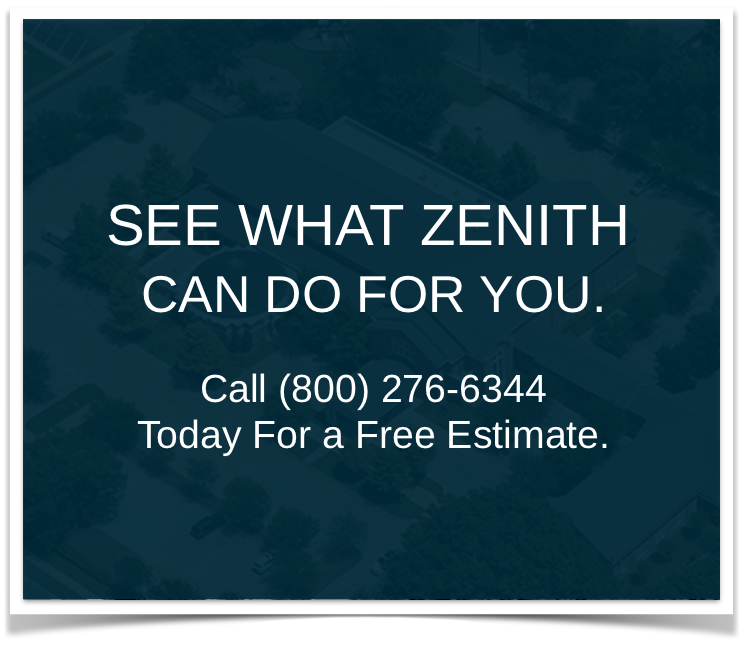 Zenith Roofing has many CERTA qualified trainers on staff and CERTA trained workers. SBS (Styrene Butadiene Styrene): SBS membranes can be applied by mopping asphalt, cold adhesive, torch or self-adhering. Membranes are made with different backings, which must be observed before application begins. Sheets for asphalt or cold adhesive applications typically have a sanded backing, while self-adhering sheets have a paper or plastic backing which must be peeled off before applying. For more information on modified bitumen roof systems, please call us at 1-800-276-6344.